I've seen it many times over: marketers with small, but engaged and quality email lists do amazing things in terms of sales. 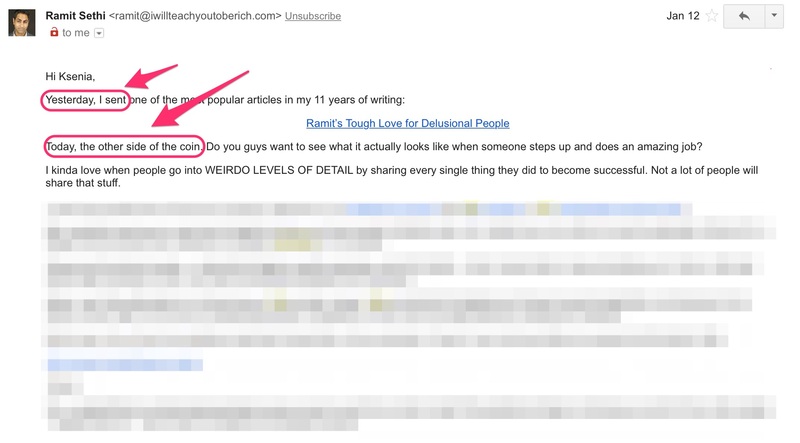 They understand the difference between a cold email subscriber and a nurtured subscriber, and they apply strategies that turn the former into the latter. If you want to build a healthy and engaged email list (i.e. high open rates and high click-through rates), you need to learn and apply the same strategies in your email marketing. 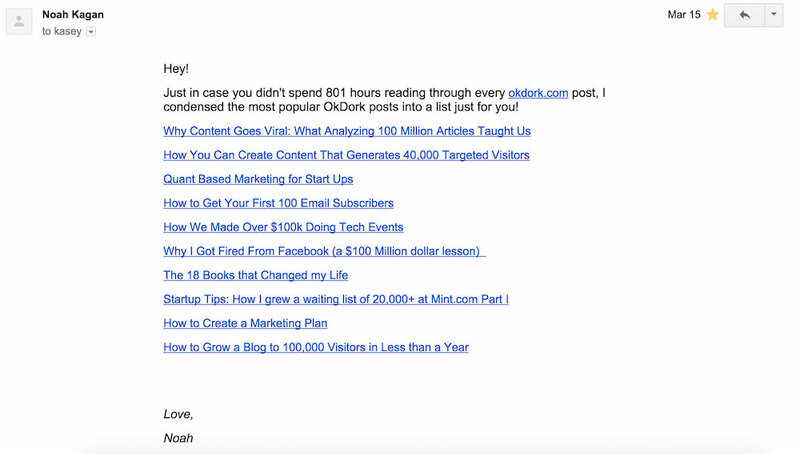 In this post, I'm going to show you list-nurturing strategies that can make a qualitative difference for your email list, but you should know up front: these are not quick'n'easy hack-tics. Nurturing email list takes time and effort, but it pays off in the end. I also included a sweet bonus at the end of the article, so make sure to read all the way through. Email nurturing is simply consistently communicating with people who've trusted you with their email address, i.e. permission to visit their virtual home. To use the dating analogy, just because they've given you their home address doesn't mean they are ready to marry (i.e. buy from you). You need take the time to show why you're worth their attention before your relationship blooms and you make any proposals. List nurturing is the time to let subscribers get to know you and your brand, and for you to learn about them! Do try different ways to engage with them, and track everything. Then analyze, iterate, track again, and be ready to change your ways to do what's working for your audience. Give more than you ask for. Think of list nurturing as nurturing relationships with your friends. It should be guided by generosity and inclusion, and you should always be a good listener. On practice, this means starting off your relationships with subscribers by being the giver. Give your subscribers generously: your time, your know-how, and anything else on your giveaway list. Continue in this manner by making sure the majority of your communication is for their benefit. This approach will result in loyal readers, trustful customers, and enthusiastic advocates. The moment someone signs up for your emails is the moment they're most interested to hear from you. Make sure you deliver on that expectation. Set up an automated welcome message that introduces your brand and delivers the freebie you promised (to borrow a few ideas for stellar freebies be sure to check out the bonus section at the end of the article). You'll find that the welcome email gets a much higher open rate than your regular newsletters, so utilize that attention. Give your subscribers something extra, introduce yourself and your brand in a catchy, authentic way, and ask a question (but be prepared to reply to each and every one). Also, realize that many will have signed up just for the freebie, or on a whim because they particularly liked something you said. Give those folks a reason to stick around right away, not waiting for the usual flow of content to persuade them. The way to do that is to set up an automated email series (funnel) for a couple of weeks, where you provide additional perks, showcase your best content from the blog, offer support and advice and wow them by adding more and more value. Returning to the top rule of nurturing -- it's best not to do any sales pushes during this period. Give more than you ask for. One of the most common overlooks marketers new to list nurturing make is lumping all subscribers together in one campaign. Instead of sending the same email to every reader who fills out a signup form, you can segment your subscribers based on lead intelligence and tailor messages to each group to maximize your value to them (& their engagement). Lead intelligence is simply data about your subscribers, which you can find in the analytics (or reports) tab of your email service provider (ESP). Look at data like what kind of emails this subscriber opened in the past. What links did they click? What webinars of yours did they attend? Which content upgrades did they download? If they filled out a few forms for content on a specific topic, nurture them with more of that type of content. But how can you segment your list if the only information you collect is email address? There are still multiple ways you can subdivide your audience and hit them with more targeted emails. If you're in ecommerce, you can segment based on past purchases. If you're a coach, you can segment based on webinar engagement level (people who sticked around vs. people who left halfway). I've included more ideas for segmentation at the end of this article. Segmenting can get overwhelming, so if you're just starting out, perhaps it's best to return to this strategy later. However, knowing the basics in advance will give you a head start on what to consider when you're collecting email addresses and brainstorming your content. There's been a lot of talk about email automation lately, and for a good reason. 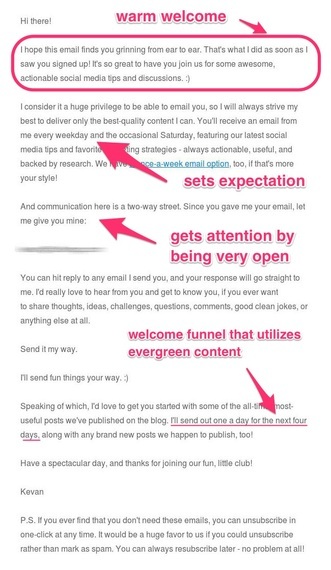 Smart email marketing takes a TON of work. Automation takes your communication to the next level: it's more targeted (i.e. personal), efficient, and frankly, better quality, because it eliminates human error. Automation does not mean "robotic" or "general", though. You can automate and still be personal. "Automating" email simply means mapping out messages that will hit your subscribers' inboxes automatically. You still control 100% of the "mapping out" process, and you can be strategic by segmenting the list properly and serving the most relevant information to segments automatically. You also still control 100% of the content, so you can flavour your message by using your authentic voice when writing the automated email series. "How often should I email my list?" is always one of the first questions among email marketers. It's important to find a "golden mean" that's unique to your brand. An optimal solution for most marketers is emailing subscribers once a week. Emailing every day gets annoying, while if you choose to email any less than once a week, you risk being forgotten and not recognized the next time you connect with subscribers. However, if the nature of your blog requires that you email more often (and you set that expectation when they sign up) or you're doing a series of emails (that are truly good and fascinating), then sending emails more frequently will work for you. If you're still not sure, test it! Start with what you think is most suitable and then decrease or increase frequency depending on the open rate, click rate, and unsubscribe rate. When you finally find your "golden mean", stick with it and be consistent. Make sure that each of your emails doesn't look like it's the first message that subscriber received from you. For example, if the first email had a link to a freebie download and a short intro to your brand, the second email should take the conversation forward, and talk about something that relates to your first message, but doesn't repeat it. For example, you can begin the message with "Last time, I told you the story about my struggle with Y, and I received an overwhelming response. This time I want to talk about X..."
Look at how Ramit Sethi does it. In one take, he makes sure I see the link to his article (even if I didn't open the previous email), and makes his email correspondence with me feel continuous and purposeful. Your email campaigns need to feel coordinated, which is why it's good to have an editorial calendar. Make sure you diversify the types of emails you send, not just the content in them. For example, if this week you shared a personal story with readers, the next week you can send a list-based mini blog post, the following week can be a how-to tutorial, a case study, or an infographic, and so on. Alternate, but also mention your previous emails, so that your communication with subscribers feels like a deep and continuous relationship vs. a series of one-off messages. Chances are you already have a few phenomenal posts on your blog: content that never gets old and (statistically) gets most traffic. Or maybe, you have an old but amazing blog post that nobody seems to notice anymore. Make sure you reuse that content by sending it to your new subscribers. They probably signed up for the current freebie, or one of the recent blog posts, so make sure they get a chance to read some of your best work. Unsubscribes are a natural part of email marketing, and you shouldn't obsess over them. You don't want to waste efforts on folks who are not interested in your work, so you should thank them for allowing you to concentrate your efforts on readers that do care about your content. Average unsubscribe rates depend on the industry, but all tend to be within 0.2% -- 0.5% range. If you are within that range, don't sweat it. I would recommend making the unsubscribe link prominent in all your campaigns, as hiding or obscuring it will only lead to irritation and spam complaints. If you make the unsubscribe process painless, people will be thankful for the easy way out and will leave with a positive impression about your brand. Taking it one step further, it's advisable to "clean" your list every 6-8 months by deleting subscribers who haven't opened any of your emails in that time period. "Losing" subscribers in bulk can be scary, but it's the right thing to do, like extracting your wisdom teeth. If they are not active, they don't belong. Cleaning your list will reduce your costs, increase engagement level, and send a positive signal to ISPs (improving your chances not to end up in the spam folders). I recorded a step-by-step video tutorial on how to delete inactive subscribers, and you can watch it in the bonus section at the end of this article. For all of the points above, I want to re-iterate: you need to TEST IT. Email is a great channel for a whole bunch of reasons, one of which is that it's highly trackable. Track everything, test different approaches, do what works for you and your audience, and results will follow. Greet new subscribers with a strategic welcome email. Segment your list to deliver relevant information that increases engagement. 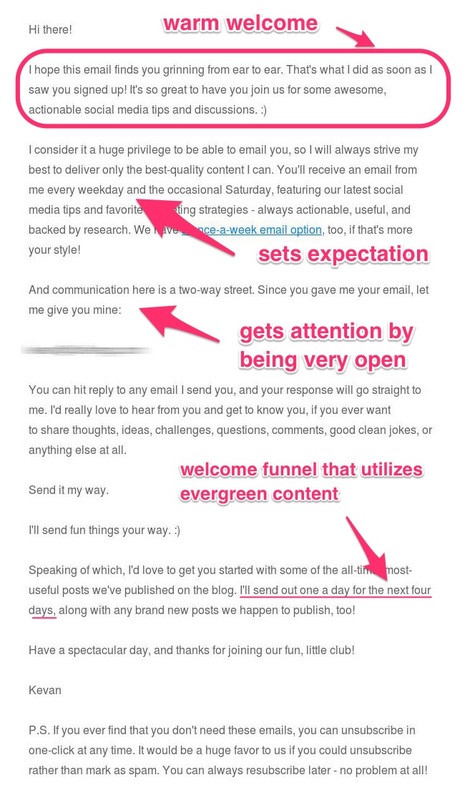 Be personal in your automated email funnels. Find out how often you should email your list by testing it. 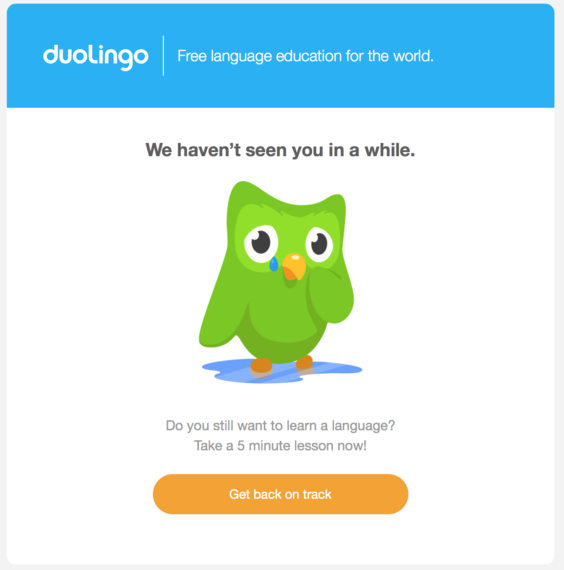 Coordinate your email campaigns so that they feel like a continuous conversation. Promote your evergreen content to your subscribers. To help you nurture your email list further, I created a free bonus that includes 15 lead magnet ideas, 7 smart ways you can segment your list, and a video tutorial for how to clean your email list. Click below to download all the goodness. About the author: Kasey Luck runs Bold & Zesty, a free newsletter about email marketing & productivity. Previously she did marketing at the most active venture fund in the world, 500 Startups, where she grew email list by 25,000 subscribers in 1 year. Download the the free bonus here.